We are excited to take our 2019 conference to Las Vegas, which is a perfect conference location for many reasons. In addition to easy and affordable flights, the area offers something for everyone. Whether you are into great restaurants or bars, arts and culture, spas and shopping, golf and outdoor fun or entertainment and night life, Las Vegas has you covered. 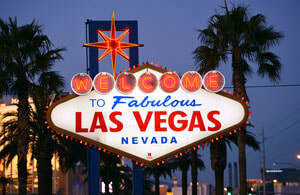 Our location is off the busy Las Vegas Strip; yet, it is close and you will be able to access it easily. Over three million people visit Vegas every month, and many of them for a conference or a trade show, so you will be in good company!